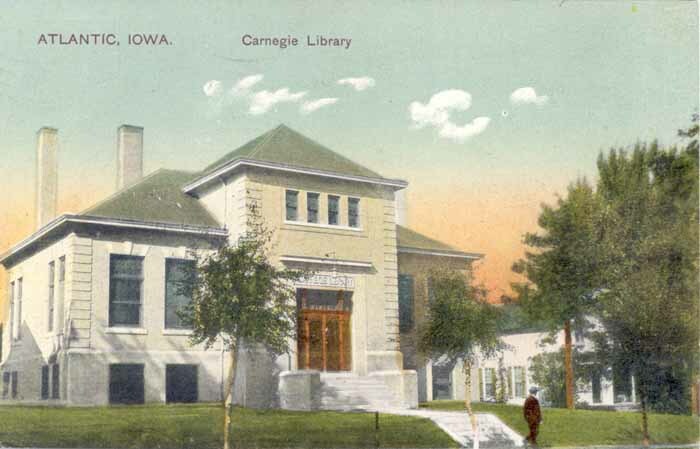 Carnegie Library, Atlantic, Iowa. Divided back Litho-Chrome post card with inscription on the back dated September 1908. Divided back post card with inscription dated 10-20-12, addressed to Miss Jennie Tonby, Kokomo, Indiana. Message reads: "Dear Cousin, I've thought of your folks so often lately, and wonder why they don't write. I suppose you are busy same as myself. Well as usual. Cooks good. Write soon. Jennie V. B." 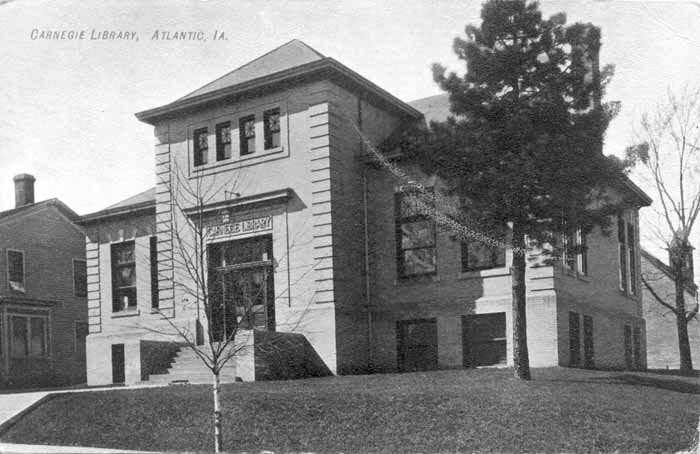 Atlantic Carnegie Library was built in 1908. 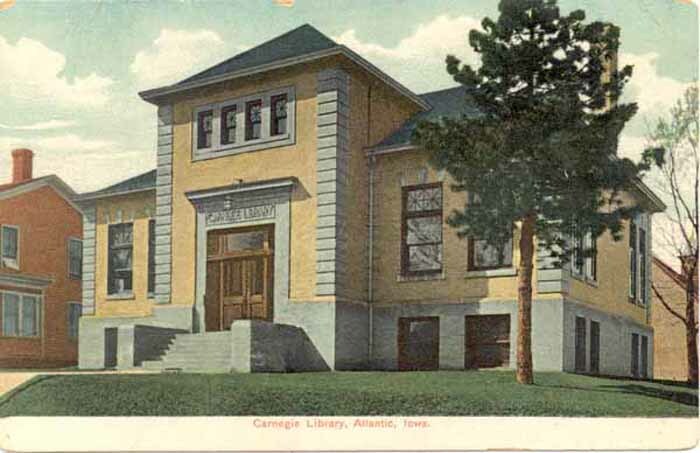 Construction was funded by a $12,000 donation from steel millionaire Andrew Carnegie. Local donations provided funds for equipping the library and purchase of books. J.S. McWaid served as president of the first board of trustees. Other trustees on the first board were W. A. Follett, J. S. Gross, C. M. Cole, James Stier, R. H. Bailey, R. D. Wilken, J. H. Marshall and J. B. Rockafellow. Photo postcards contributed by Cheryl Siebrass, 2009-2010.